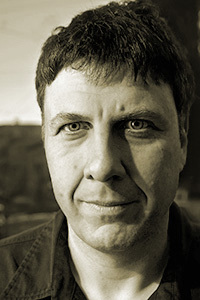 Matthew Zapruder is the author of three collections of poetry, most recently Come On All You Ghosts (Copper Canyon Press, 2010), a New York Times Notable Book of the Year. He is the recipient of a John Simon Memorial Guggenheim Fellowship, a William Carlos Williams Award, a May Sarton Prize from the American Academy of Arts & Sciences, and a Lannan Literary Fellowship. Zapruder works as an editor for Wave Books, and is a member of the core faculty of University of California, Riverside–Palm Desert Center’s MFA program in creative writing.